Forman Journalism Society hosted an informative session on Media Code of Ethics on Thursday 16 February 2017. 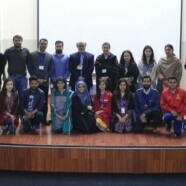 Professor Dr Zafar Iqbal, Chairperson Media and Communication Studies, International Islamic University Islamabad was the chief guest of the session. He enlightened students with his vast knowledge on media, ethics, society and politics. 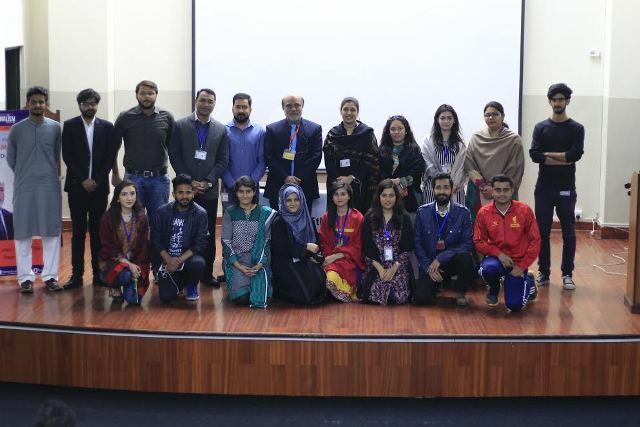 The event was supervised by FJS Adviser, Mr Syed M Saqib Saleem and was attended by multiple faculty members. After the session, the guest was presented souvenirs by Assistant Professor and Chairperson of Mass Communication Department, Ms Rachel A Hassan as a token of gratitude on behalf of the department and the society.